6 Things To Do (& Not Do) When your Young Friend is Diagnosed with Cancer. As a young person, we are not expecting cancer to be in our near future, or the futures of any friends or family members close to our age. Once we hit a certain age, having some form of cancer or illness becomes almost the norm. When we are in our 20’s and 30’s, we are the anomaly. Not only the anomaly, but the first of many more diagnoses to come because inevitably, the older we get, the more people we know and love will receive a diagnosis and the more people will come to us looking for guidance. I am one of the young adults who had this experience and who friends and family may come to moving forward. At the age of 24, I was diagnosed with a rare form of Hodgkin’s Lymphoma. After surgery and radiation, I have been cancer-free for three years. Some of my friends had cancer diagnoses that led to them being in the hospital for months, even years. Some lost their sight, vision, memory, and limbs. Others have died from cancer. All of these friends have touched my heart, and the hearts of others around them, in profound ways. I am writing this (with a bit of humor because as anyone who has dealt with an illness knows, laughter can truly be the best medicine) to try and help others handle a situation where you will always feel unprepared. This is not meant to be a handbook for how to react when someone has cancer; there is no right way for a person with a diagnosis to act before, during, and after treatment—just as there is no right way for those around them to act. Your reactions may vary from backing away to being someone’s rock. As young adults, many of us have never before dealt with something of this magnitude. I know I felt very unprepared when a dear friend of mine got cancer when we were 19 and I froze, backing away instead of being supportive. If I can help one young person better handle a seemingly impossible situation, this piece will be worth it. I am taking my experiences, as well as some similar experiences of other young adults with cancer diagnoses, and attempting to provide some guidance to those around us who want to be helpful, but aren’t sure how. 1) Be Normal (or as normal as possible). Come be with us. Give us crap. Call us and talk about something ridiculous or something insignificant or funny that happened to you that day. Treat us how you treated us pre-diagnosis. Feel free to ask about what is happening with treatment—if we want to talk about it, we will and if not, we won’t. Respect that. If you are a friend and visiting (please be sure to text or call before you show up—sometimes your friend won’t be up for visitors), act like a friend. In my experience, I had enough family members, doctors and social workers I was talking to about it and spent enough alone time thinking about what was going on. It was nice to just be with friends and spend time together. This hanging may look different than before, depending on your friend’s location (hospital, home, etc.) or how they may be feeling. I dealt with fatigue from radiation and post-surgery recovery; others have severe side effects from surgery, chemotherapy, radiation, bone marrow transplants, etc. (I’m sure I’m missing a ton here, it’s a long list, but think you get the point). Isolation is also common with cancer patients, especially young people who feel unable to relate to those around them. Also, young adults may be more used to going out and being active with friends and they may not be up for it. Instead of going out and fearing they will get sick or have to go home, they may choose to just stay in and not participate. Go to your friend if possible and have a movie night, game night, “Bachelor” viewing night—whatever interests your friend. Also, if your friend wants to go out and they feel up for it, by all means, go for it! It’s hard not to. We hear the word cancer and immediately think hospitals, chemo, hair loss, even death. You can research a friend’s cancer and possible effects of treatment, but please, don’t make assumptions (and try not to go too far down the internet rabbit hole of cancer). Every person’s treatment and reactions to treatment will be different. Cancer is a unique beast, coming to us in many forms. There are many factors that go into decisions regarding treatment. If you really want to know how to support your friend, not just out of politeness, ask your friend what is going on. They may or may not know at the time. That’s okay. Also, don’t assume anything your friend did or didn’t do led to this cancer. That is hurtful and most of the time, not true. There are correlations between lifestyles and certain types of cancer, but for many cancers that is not the case and the reason certain people get types of cancer at various stages of their life is largely unknown. Asking the why/how this happened if your friend isn’t asking those questions is not appropriate. 3) Say something, anything, please. I am forever grateful for the many incredible people that came out of the woodwork, including those who I wasn’t that close with pre-diagnosis, and were so supportive. One of the best reactions I had was from a friend of mine who found out through the grapevine. He left a voicemail saying, “Call me back. We can talk about what is going on with your health or we can talk about anything and everything else. The choice is yours but know that I am here.” So simple, but made a world of difference. I did call him back. We talked about my health, but also everything else, and I did not feel pressured either way. When you do reach out with a, “Hey, thinking of you, ____”, “Call me if you want to talk”, “Hi, how’s it going?”, “Is there anything you need/I can do/get for you?”—which are all completely appropriate remarks in my opinion—understand that the person may not respond right away. It doesn’t mean they didn’t see that you reached out or care that you did. Not responding was common for me, at least. Many times I was not up for talking to someone, whether because of emotional or physical fatigue. It had nothing to do with that person. Trust me, I noticed and felt so loved and supported. Say something, reach out in some way. If you are even thinking about it at all, saying something is always better than saying nothing, even if it’s you saying you are not sure what to say. 4) Reflect on your own stuff before getting into ours. When we are young and have a cancer diagnosis, it is really hard for those around us to understand it. Sometimes our own or another’s faith is shaken. 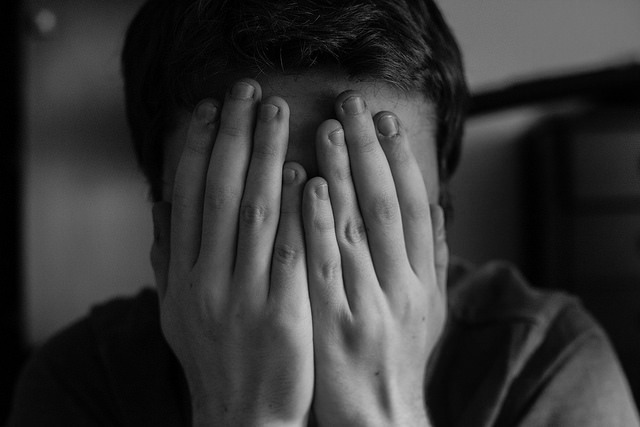 Anxiety can occur and unless life has hit you hard (which it always will at some point—some earlier than others), you may not have thought much about your life, your death, and your own mortality. As hard as it was, I am grateful I already had found faith and a yoga and meditation practice that would be an integral part of my life during diagnosis and treatment. But at twenty four, many of my friends had not. Do your best to not make it about you. This time, it really isn’t. If you find yourself scared or uncertain or thinking about how this could happen to you, your purpose and place on this earth, take the time to reflect on your life and those existential questions. It will be good for you and you will be able to engage in more meaningful conversations with your friend when the time is right. Many times when people feel overwhelmed, not knowing what to do or what to say, they want to push away what is happening because it seems so tragic and difficult. People can become paralyzed and freeze (I know I have in the past). Again, if any part of you is thinking about this person and how you should reach out, revert back to the previous point and do it. Also, if possible—on your own, with another friend or family member, a therapist, or even with your friend with cancer if appropriate and your friend is opening up the conversation—acknowledge your own stuff (thoughts, feelings, etc.) about what is happening. Although always coming from a caring place, sometimes those with cancer spend much of their time comforting others around them, comforting family and friends as they cried and worried. Many times, the patient has to be far less stressed, and appears to be far less stressed, than those around them. Do your best to not create more stress. 5) Don’t bring up everyone you know (or kind of know) who has cancer (or the flu). “They were just fine, you will be too (as well as my personal favorite as a female, “they even had kids!”)”—or the other way if they had cancer and died. Neither one of these responses is particularly relevant or helpful. Neither is promoting your own favorite doctors or treatments. If looking for alternative treatment options or doctors, your friend will probably be actively searching and you will be aware; then may be time for a conversation or referral. Also, it might be best to leave talk of the nasty bruise you got rock climbing, mole you got checked out that was nothing, incident with the flu and swollen lymph nodes (asking your doctor if it could be cancer), to yourself or talk to someone else. Your friend that has cancer cares about you, especially if you have legitimate medical issues going on, but it’s not the best way to start a conversation. It is not relating. And please don’t comment on weight loss because of treatment in a positive way—the treatments are not worth any sort of weight loss. There will be bills, lots and lots of bills. I never knew that you could go see one doctor and get billed from three separate agencies for the same appointment. You can, it’s common. It will happen. Again, there is variance in scope of financial hardship across young people because of insurance, current financial state, student loans, ability to work or not and various other factors, but know that your friend will be dealing with this. It probably won’t be the biggest concern during diagnosis time and treatment, but the bills and doctor’s appointments keep coming, long after any treatment may have concluded. Just keep that in mind. You may see GoFundMe pages and different fundraising campaigns. How and what you contribute is completely up to you, but please, do your best not to judge. 7) Your friend will not be exactly the same person after diagnosis and that’s okay. Maybe you will become closer, maybe you won’t. Some people chose to make drastic changes in their life on a spiritual, personal, career and/or relational level, while others won’t. If you are still in that friend’s life moving forward post-treatment, know that your friend will probably still be seeing multiple doctors often in the years after treatment (most likely the rest of their lives—with these young cancer patients, doctors don’t mess around). Scans may be involved (there is such a thing as scanxiety! I still get it), and it’s okay to ask your friend how their health is going. I’ve always appreciated that, at least. Cancer may not be at the forefront of their lives anymore, but it still is a part of their experience and you can’t pretend it never happened (well you can—but don’t). You may not agree with everything your friend does post-diagnosis, or understand it, but do your best to accept it, because cancer does change people and that will look different for every person. I am fortunate I had a very treatable form of cancer and get to write this three years out cancer-free. I can’t give you an exact reason why that is—why some of us live and others do not. All I do know that is I am out living life and I am going to do that to the best of my abilities and encourage others to do the same. Thanks to First Descents and all the incredible people I met there and all the crazy cancer and non-cancer related stories we shared with each other and memories we created. To Sammy and Fish, thank you for your continued guidance. Love you and miss you. Jen is 31 years old and currently lives in beautiful Denver, Colorado. She has spent the past thirteen years exploring the state after moving from Chicago, going from studying at CU-Boulder to ski instructing and raft guiding in Aspen, to now working as a counselor with adolescents. 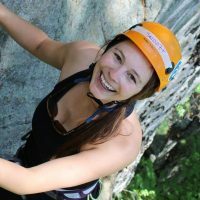 Jen spends as much time as possible traveling or in the mountains- skiing, rafting, SUPing, camping, hiking, and yoga-ing. Jen recently got involved with First Descents, an organization out of Denver that supports young adults who have had cancer, having had a rare form of Hodgkin’s Lymphoma herself at the age of 24.